Ben Gonsioroski's music is as unique as his name. 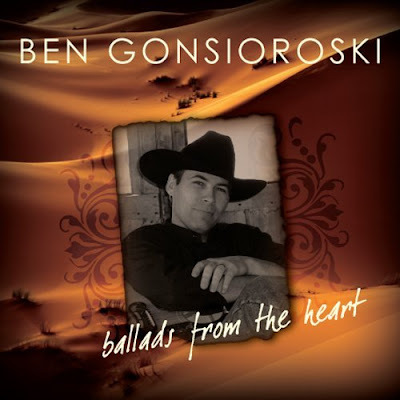 With his new album "Ballads From The Heart," Gonsioroski takes listeners back to the traditional cowboy country music of years gone by that made stars of country music legends like Marty Robbins, Gene Watson and Jim Reeves. Gonsioroski was born and bred in the cowboy paradise of Montana, and he grew up enjoying classic country music. His crystal clear, athouritative country vocals are the main ingredient for the success of "Ballads From The Heart" He has a simple cowboy sincerity that pierces through the lyrics on every track, including the best song on the album titled "The Desert Flower." 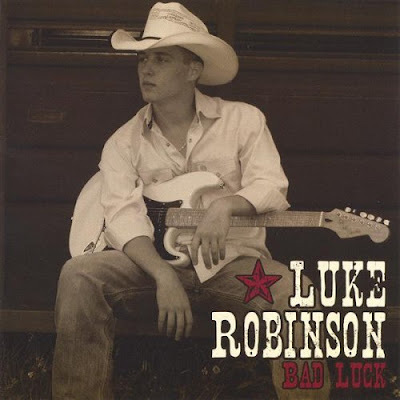 Review: Luke Robinson And The Bad Luck Band "Bad Luck"
Luke Robinson is a country boy who sings with the passion of Alan Jackson, the sincerity of Toby Keith and the humility of Brad Paisley. That's why Luke Robinson's newest album "Bad Luck" may just be this up-and-coming country singer's good luck charm. Luke Robinson is a young man in a hurry. He began singing Garth Brooks songs at age nine and started composing his own original tracks at age twelve. Indeed, it is Robinson's strong, country work ethic and unique country music voice that make the album "Bad Luck" an unqualified country music success. The album starts out strong with the contemporary country track "That's What I Tell Myself" and is followed by the excellent, melodic title song "Bad Luck." Robinson also proves he knows how to have a good time with tunes like "Tequila Sheila" and "What Were You Thinking."